JUST REDUCED! 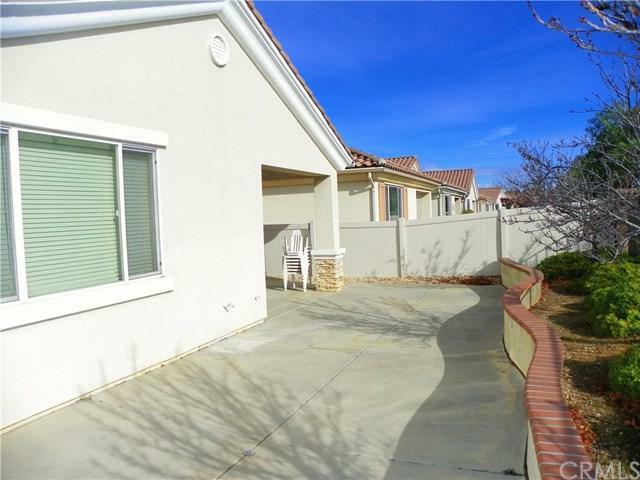 GREAT VALUE FOR THIS TURNKEY PRINCESS MODEL ON THE GOLF COURSE IN POPULAR 55+ GATED COMMUNITY OF SOLERA! 2 BR, + DEN, 2 BA, 1392 SF. CERAMIC TILE ENTRY LEADS TO LARGE GREAT ROOM WITH DINING AREA. LARGE OPEN KITCHEN WITH BREAKFAST BAR, CERAMIC TILE FLOORS CORIAN COUNTERS & WALK-IN PANTRY. LARGE MASTER SUITE WITH GOLF COURSE VIEW AND WALK-IN CLOSET WITH MIRRORED DOORS. GUEST BEDROOM IN FRONT OF HOUSE ALSO WITH WALK-IN CLOSET & MIRRORED DOORS. 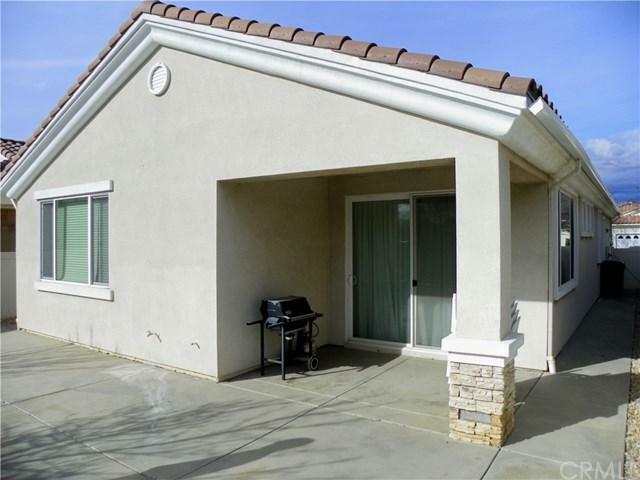 SEPARATE LAUNDRY ROOM WITH SINK LEADS TO LARGE 2 CA JUST REDUCED! 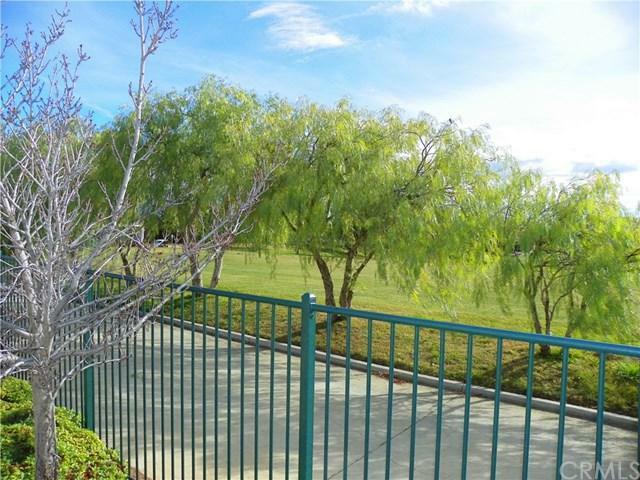 GREAT VALUE FOR THIS TURNKEY PRINCESS MODEL ON THE GOLF COURSE IN POPULAR 55+ GATED COMMUNITY OF SOLERA! 2 BR, + DEN, 2 BA, 1392 SF. CERAMIC TILE ENTRY LEADS TO LARGE GREAT ROOM WITH DINING AREA. LARGE OPEN KITCHEN WITH BREAKFAST BAR, CERAMIC TILE FLOORS CORIAN COUNTERS & WALK-IN PANTRY. LARGE MASTER SUITE WITH GOLF COURSE VIEW AND WALK-IN CLOSET WITH MIRRORED DOORS. GUEST BEDROOM IN FRONT OF HOUSE ALSO WITH WALK-IN CLOSET & MIRRORED DOORS. SEPARATE LAUNDRY ROOM WITH SINK LEADS TO LARGE 2 CAR GARAGE. 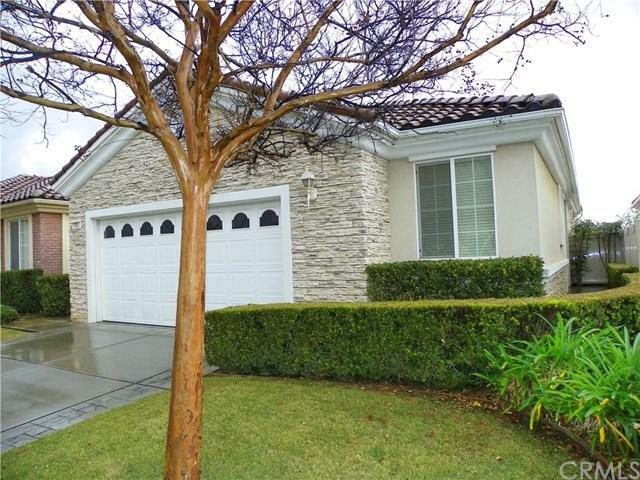 GREAT ROOM LEADS TO REAR YARD WITH COVERED PATIO, CHERRY TREES AND BEAUTIFUL GOLF COURSE VIEW! SOLERA HAS MANY COMMUNITY FACILITIES INCLUDING SALT-WATER POOL & SPA, CLUBHOUSE WITH RECREATION ROOM, BILLIARD ROOM, BEAUTIFUL KITCHEN, FULL GYM WITH WALKING TRACK. TENNIS, PICKLEBALL & BOCCE BALL ALSO AVAILABLE! THIS HOME IS WITHIN WALKING DISTANCE TO SHOPPING AND RESTAURANTS. THE WHOLE COMMUNITY SURROUNDS BEAUTIFUL OAK VALLEY GOLF COURSE WHERE SOLERA RESIDENTS ENJOY SPECIAL RATES. Listing provided courtesy of Century 21 Beachside. Listing information © 2019 San Diego MLS, Inc.